Twitching is a method of birding where birdwatchers follow rare bird sightings to see new birds. You might not always be successful when you go twitching, but that doesn't mean you should give up. After all, even a bad day of birding beats pretty much everything else, right? 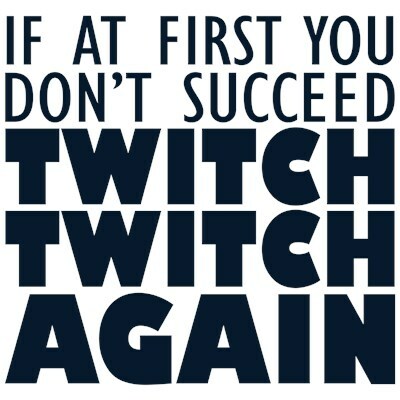 If at first you don't succeed twitch twitch again. To order by phone, call toll-free at 1-877-809-1659 from Monday - Saturday 9:00am - 9:00pm EST. You'll need to note the Product Number 030-505984719 to make your order.